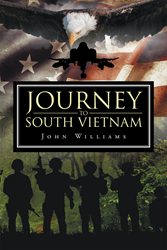 Recent release “Journey to South Vietnam” from Page Publishing author John Williams is one man’s tale of the perils of war, faith in God and the lasting effects of PTSD. John Williams, a Vietnam veteran has completed his new book “Journey to South Vietnam”: a compelling tale of one man’s struggle with conflict, faith and the psychological impact of war. Throughout his experience, Mr. Williams struggles to find light in the heart of darkness. When fellow Marines were being killed, the author found himself trapped in the idea of returning to combat to immerse himself in more warfare. Reflections on his mental state as a young man, and his forced encounters with the horrors of humanity, enlighten the reader on the mental and physical struggles of our men overseas. Published by New York City-based Page Publishing, John Williams’ powerful tale about the Vietnam conflict, and the young men we sent over to face the horrors of global conflict, and the toll it takes on them. Williams regales the reader with the thought process that commonly occurs when young men are expected to perform in death defying high-stakes situations. Throughout the ordeal, Williams retains his sense of humor, faith in God, and love of family and country. Readers who wish to experience this inspiring work can purchase “Journey to South Vietnam” at bookstores everywhere, or online at the Apple iTunes store, Amazon, Google Play or Barnes and Noble.